Fully known as the Dodd-Frank Wall Street Reform and Consumer Protection Act | Signed into law by President Barack Obama on July 21, 2010. The key players were: Chris Dodd, who served as a Democratic senator for Connecticut from 1981-2011, and Barney Frank, a Democratic representative for the state of Massachusetts who served from 1981 to 2013. What was it supposed to do? In the aftermath of the ‘07-’08 financial crisis, Dodd and Frank designed the bill to make the banks safer. It requires them to have more capital on hand to reduce the risk from bad loans, and it limits their proprietary trading. The act also authorized the creation of the Consumer Financial Protection Bureau (now also known as the Bureau of Consumer Financial Protection) which collects complaints about financial services like student loans and banking, and has the power to hit these financial companies with fines if they are found to engage in unfair practices. Criticisms: Some people on the political left, like Sen. Elizabeth Warren, say the law wasn’t tough enough, and that it left a lot of enforcement up to the discretion of regulators. And there are arguments that it doesn’t apply enough oversight over “shadow banking” (think hedge funds and investment banks.) Meanwhile, those in the banking industry and the political right say Dodd-Frank has too many regulations. Rollbacks: The biggest legal change to the law occurred earlier this year, when President Donald Trump signed a bill loosening restrictions on banks smaller than $250 billion in assets.These institutions won't have to undergo stress tests, which regulators use to measure their ability to withstand an economic crisis. 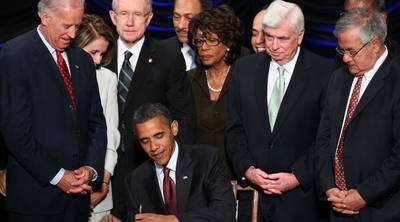 Signed into law by President George W. Bush on Oct. 3, 2008. The key players were: Henry Paulson, head of the Treasury Department from 2006 to 2009. He proposed the package, while Congress approved it. What was it supposed to do? The program was a $700 billion bailout package for the banks, aimed at stopping panic in the financial markets, stabilizing institutions, and ensuring liquidity. Barney Frank said he wanted half of that money to go toward foreclosure relief, but Treasury Secretary Henry Paulson “refused” to use the money for that purpose. Criticisms: The program didn’t actually dictate how banks should use these funds. Banks also didn't use it primarily to lend to consumers and businesses — many saw the money as a windfall that could be used to pay down debt or acquire other businesses. One Senate panel said it saw no evidence "the U.S. Treasury has used TARP funds to support the housing market by avoiding preventable foreclosures." In the aftermath of the 2007-2008 financial crisis, two Congressmen came up with a law to make U.S. banks safer in order to protect Americans. Chris Dodd, a Democratic Senator for Connecticut, and Barney Frank, a Democratic representative for Massachusetts, worked together to create the Dodd-Frank Act: a bill that put stricter requirements on the banks. Frank called it the “toughest financial reform and regulation since the New Deal.” “We were fighting an ongoing set of practices, and if we didn’t put an end to them, they would have kept going,” he said. Frank, who has retired, currently sits on the board for Signature Bank, while Dodd recently joined the law firm Arnold & Porter. Marketplace host David Brancaccio interviewed both of them on Sept. 12 in Washington, D.C. about whether Americans would support another bailout, the future of the Dodd-Frank Act, and whether the financial crisis led to the rise of Donald Trump. The following video and edited transcript of their conversation is part of our Divided Decade project covering the 10-year anniversary of the financial crisis. David Brancaccio: Sen. Chris Dodd, Congressman Barney Frank, thanks for joining us. Brancaccio: All right, let's just get into the mindset of back then ten years ago. Each of you, I think has long and repeated experience dealing with emergencies, but when and where did it become clear to you that you were fighting the worst financial crisis in generations? Chris Dodd: Well, I think it was beginning of ‘06. We talk about the crisis of ‘08, but really contrary to what people think, this was not a secret, the housing bubble. As early as ‘06, in fact Jack Reed, Sen. Reed of Rhode Island and Jim Bunning, of all people. Bunning chaired the subcommittee dealing with housing. They had hearings in ‘06 on the growing problem of the housing bubble, but it wasn't really until ‘07, into ‘07. And then it was Bear Stearns which really kind of blew things up, but there was a lot of — we had 90 hearings in the Senate in ‘07 on the housing crisis coming about. Ninety hearings is a lot of hearings. So we're very much aware of the problems growing. Brancaccio: Didn’t you have years and years, Congressman, in dealing with housing issues? You were tracking this too, right? Frank: In 1994. And then in the late ‘90s, a number of states began to do this because the federal government wasn't. And the Bush administration used the federal power of preemption and cancelled the ability of the states to do it. So then, when the Democrats get control, there are hearings, as Chris mentioned, that he's holding. We actually passed a bill. The Republicans were still against it. The Wall Street Journal — and I love this — in November of 2007, the Wall Street Journal attacked me by name because we were trying to restrict subprime loans. And they said, why doesn't he want poor people and minorities to take over? So I will say this, I think we saw the housing issue. We didn't see how much it was going to spread. But then Chris is exactly right, when Bear Stearns had to be taken over, that was a sign that this had spread beyond housing. Subprime lending: This form of lending is available to individuals who can’t qualify for prime loans. In essence, subprime lending is where a lender will loan money to individuals with “less than stellar credit ratings.” During the financial crisis, these individuals were often faced with higher interest rates, which led to difficulties in making payments. When borrowers couldn’t pay, foreclosures often followed. Frank: Well, during the summer, I would get phone calls on Friday afternoon from Paulson, generally after the markets had closed, sort of, “oh, we got this problem.” Remember there was a problem where Citicorp was a problem, and then there was a problem where Wachovia was a problem, and they had Wachovia be taken over by Wells Fargo. Then there was the Merrill Lynch, that was taken over by Bank of America. There was a series of potential failures and they found some way to resolve it, starting with Bear Stearns. But then came Lehman, and there was nobody left to resolve it with. But we saw this building up. Dodd: Well, we did, but the administration was slow. I mean the idea that it was one ant in the kitchen. I mean that this is somehow, that this was a one-off problem and that it wasn't a systemic problem. Brancaccio: This is the late George W. Bush administration at that moment. Dodd: Yeah. He was very unpopular and leaving office, and so that made it difficult. But that was — Hank Paulson, look, he had come out of Goldman Sachs, very knowledgeable, smart, not a Washington person. And so it was uncomfortable, I think, in many ways with the politics of the town, in a sense, and wanted to keep the ball in the air, be positive, and this was all going to work out, and positive statements. When in fact, it was going the opposite. Frank: I had a somewhat different reaction to Paulson. And you are right to mention Bush. I mean the problem is, I think Paulson did begin, and Bernanke, to see this. Although, Bernanke had earlier said, he acknowledged, “oh this is housing, it's not going to spill over.” But I think they began to see that this could be more of a problem. They were telling me they were worried they didn't have the tools, but you had this very conservative administration. And, by the way, when Bernanke and Paulson did intervene to keep Bear Stearns from failing, and had JPMorgan Chase take it over, the Republicans on the committee that I chaired — very, very conservative — wanted me to have hearings so they could denounce Paulson and Bernanke for their intervention. I wouldn't have the hearings, I didn’t think it was going to be kind of useful. Brancaccio: Who, by the way, is working fairly fluidly with his present, with their president who is a Republican, nonetheless. Frank: But this was a tension that Paulson faced, which was, you know, the Republican Party was so resistant. And I do think they had a series of fixes, we’ll will fix this, we’ll fix that. Paulson and Bernanke were saying to me at least, well we would like to have a better set of tools. And I think in the end though, you know, they had JPMorgan Chase take over one, and Bank of America took over another, and Wells Fargo took over another, and then came Lehman, and there was nobody left to take it over. Brancaccio: Did you have the right resume to have to deal with this. Did you have the right qualifications and expertise to do this kind of work? Dodd: Well, probably no one did, in the sense we were dealing with a set of issues and problems that hadn't surfaced. Obviously the industry had become far more sophisticated, outstripped the capacity of the regulators and rulemaking. I think, you know, Paulson is correct and Bernanke, in the sense that the tool chest was not keeping pace with the kind of issues that we’re confronting all the time. And the issue of financial literacy, I've often said it's not only a general problem with the public at large, but you can make the case for the Congress itself. All of a sudden dealing with issues in the derivatives area, for instance, which might as well have been in Latin or Greek, as well as in English. So there was that gap. But there were talented people. As I mentioned, we had 90 some odd hearings in ‘07, not to mention ‘08, and a lot of very talented people coming up and warning about the problems and they were being ridiculed. I remember one guy came up and said there could be as many as a million foreclosures, and he was accused of exaggerating. And he was, he was exaggerating in the sense of the size, it was more like 5 million. Derivatives (or derivatives market): Derivatives are essentially deals that let people trade almost anything, from wheat futures to home loans, and they’ve been blamed for at least part of the financial meltdown. They were first devised as a way of insuring against unexpected losses on an investment, but many banks have made a lot of money wagering on things they aren’t actually invested in. Brancaccio: It was more like 5 million. Did you feel you were in over your head at any point in all this? Frank: I felt I was being, I mean I didn’t feel, I was being pushed. Well you mentioned my interest in housing, I got on this committee, was then called the banking committee, because I cared about housing. And when I became chairman, you know, I [thought] I could really do something about affordable housing. And, you know, by necessity you had to deal with this. No, I had to do a lot of learning. You know, these things, derivatives were deliberately somewhat obfuscatory, and yeah I almost felt like the teacher who is teaching a subject that's new and you're a day ahead of the class. I mean the night before you teach the class, you got to go read the lesson, and there's a lot of learning there, and you realize how much you pick up. My husband is a surfer, not somebody who had previously been involved in this, but somebody later told him he was the East Coast surfer most knowledgeable about credit default swaps they’d ever met. Brancaccio: He did the crash course as well. So look we're certainly going be talking a lot about the legislation, Dodd-Frank. But back in the TARP days in that fall of 2008 after Lehman, you're working hard on a response, but what's your biggest regret from that period? Frank: For me it’s easy, we did put into the bill — and they just wanted the authority to go and do it. And they were worried, and I understand that, although I disagree with it, they were worried, particularly Paulson, that if the heads of the financial institutions were unhappy with the terms, they wouldn't participate [in TARP]. I told them at the time that was the most unpatriotic description of bankers I ever heard. That if we, for example, were to impinge on their bonuses, they would not do what was necessary to save the country. Brancaccio: So unpatriotic? National emergency and they don’t want to forego? Frank: Yeah, and we disregarded that, and wrote into things that they didn’t want. But we did write into it explicitly the authority to use some of the TARP money for foreclosures. And what happened was Paulson decided he needed to use the first $350 billion — well, here's the dilemma we had, Chris Dodd, myself, Nancy Pelosi, Harry Reid. You know, and it’s part of the problem of being a Democrat. We believe in government. We believe government has a major role and we're not ready to see things crash because the people we most care about are going to be hurt. People said, “oh, you just bailed out the bankers.” Jamie Dimon wasn’t going to be hurting. He didn't have to go to the ATM, he had enough money put away. It’s the working people who were going to be hurt. So we had to give them the tools, knowing that we couldn't wield them ourselves. But the alternative would have been worse. And one of the problems we had was we told them do something about foreclosure, and [Paulson] refused to do it. And that was my most serious regret. Dodd: Well, it was you know, people have forgotten this, but we had the meeting on Sept. 18, which of course was that incredible gathering where Ben Bernanke says, and I'm quoting him almost exactly here, “unless you act,” speaking to the congressional leadership, Barney and I, in the room, “in a matter of days, the entire financial system of this country and a good part of the world will melt down.” Needless to say, the oxygen left the room in Nancy Pelosi’s conference room that night. Within a matter of a couple of days, two or three days, at 1:30 in the morning, received a bill. And it was two and a half pages long, said give me $700 billion, no court, no regulator can intervene. I got the call at 6:30 in the morning from staff saying this is — you can't imagine. Imagine Barney and I trying to pass that thing. So began the negotiations out of the bill, what turned out to be about 100 pages long. But we did a number of things in there. And, Barney is absolutely correct. They were not enthusiastic about it. In fairness to them, they were worried that the banks would not participate. But assistance on foreclosure, the warrants, which made us billions of dollars for the taxpayer ultimately. Dodd: Yeah, but people don’t remember that at all. Tranches, we didn't vote all at once. It was done in parts, so you could actually judge it. Put a jail resident in the process, a Congressional Committee of Oversight, along the way. And the point that Barney just made, I talked to Steve Rattner last night, had we not done what we did beyond the banks and allowed for some of those monies to be used in other economic areas, Chrysler and GM would have failed. Brancaccio: That’s an interesting point. So this financier, famous Steve Rattner, his point is that if you got the homeowners mortgage relief, it might have impinged on the auto rescue? Dodd: Some of that money could be used on other things. Frank: No, no, he wasn't complaining. We wrote it somewhat more broadly, and the way we wrote it was what allowed them to keep General Motors and Chrysler in business. That came out of the TARP. Brancaccio: Oh, I see, you're saying, look you didn't have $2 trillion, you had $700 billion you're working with. Frank: And Chris mentioned the tranches, so the first tranche — which is a fancy congressional word for half — was $350 billion. And we said “you got to use this,” I mean I had a hearing waving the bill at Paulson. And the problem was, Maxine Waters and I, we had to get this bill through the House. Getting it through the House was harder because Chris had a more responsible set of Republicans to work with. Dodd: Well, only one-third were up [for reelection]. Frank: That's a good point. So we had to really work hard to get this through, and to get the Democrats to support it. Maxine Waters and I stressed that we had foreclosure relief, and then Paulson gets the $350 billion, and I generally work well with him, and think highly of what he did in general, but I disagreed sharply here. He refused to use any of the first $350 billion for mortgage foreclosure relief, saying I need it all keep the banking system going. Even the auto [bailout] had to come out of a second group, another $75 billion. And that's what led people accurately to say, “look you you just bailed out the bankers.” Now, we didn’t bail out the bankers to help the bankers. We did it, as Chris said, to keep the economy from crashing. But, that was the failure. At that point we lost the opportunity to use some of that money to alleviate foreclosures. And let me just say about foreclosure, not everybody who was being foreclosed upon was a worthy recipient. Some people did lie and did take money out. Frank: But there were some who were victimized, there were many who were victimized and they should have been helped. Brancaccio: And you know the vote, you know, I hate to bring up a sore subject, but it doesn't pass the first time. It doesn't do it, it takes the Dow Jones Industrial Average falling 2,700 points over a couple of days to, I guess, focus attention? Frank: Among the Republicans. Remember the Democrats, and this is — people ask, whatever happened to bipartisanship? Barack Obama got elected and the Republicans never gave him the cooperation we gave to George Bush and his administration. And so the Democrats voted heavily for it in the House, Republicans voted heavily against it. And it was only after the stock market dropped 700 points that some Republicans began to hear from their constituents that they better turn around. So in the second vote, a majority of Republicans still voted against it, but enough had switched because of that pressure. Brancaccio: I mean it's almost not irrational on the part of those Republicans to be leery of voting for the bailout. I mean they got in trouble in their elections that followed. Brancaccio: Always say no to bailouts? Dodd: You're not getting into too much trouble by voting no. Frank: The general way that we characterize that in a legislative body, when there's something you know should be done but it's unpopular, you vote no and pray yes. And the Republicans in the House, [said] you know what, we're in the minority. Even though it was their administration. And so there was some Republicans ideologically opposed to it, but there were many who just figured let the Democrats take the rap. Dodd: This is, I think Barney and I agree on this thing. I don't think we ever did anything in my 30 years in the Senate as unpopular as this, and yet as more important as the TARP bill. Brancaccio: You are sticking with that, even now? Dodd: Absolutely. Had we not done that? What we didn't do well enough, and I blame the administration for a lot of this here, it always should have been a consumer bottom up approach to this thing. [It’s] about consumers and the country. And we too often, the language was always about stability of the institutions, and consumers kind of came in last. Brancaccio: Well, you spoke up about that in some key meetings saying that's what this should be about. What was the reaction? Dodd: To this day, it’s considered — despite the fact billions have been returned, consumers have been made whole in many cases — it's still seen as a bailout of financial institutions, and why didn't more people go to jail? We get that question almost daily. Frank: The point is we did write that, and we wrote the bill, so we wrote in authority to limit compensation to the top people. We wrote in the requirements that they not just repay the loan with interest, but we have the warrants that Chris mentioned, in case there were profits. We wrote in a mandate to do something about foreclosure. And here was our dilemma — at that point the Republicans were running the show, and you can't run a program from Congress. You can authorize it. You can give them the tools, but you can't wield them yourselves. And the alternative for us would have been not to give them the authority. I mean the idea would have been to give them the authority, to have them use it. But giving the authority, even though they weren't going to fully use it in ways that we like, it was still a better choice than not giving the authority at all and having a crash. And that was our frustration. And its limitations of being in the legislative body. They had their hands on the tools. Dodd: There's some remarkable stories though out of this. I’ll share with you, that night of the vote. I asked everyone to vote from their seats in the Senate which we rarely do. And I went around to members who were up in 40 days, Democrats and Republicans. Brancaccio: The mirror, he has to look in the mirror. Dodd: And as a result, he lost 40 days later. Bob Bennett ultimately lost in Utah, Kay Bailey Hutchison, you point out, in Texas. Mike Castle in Delaware. Four years later, this was still a major campaign ad against anyone who voted for it. Frank: You mentioned, you know that maybe it was rational. Yeah it was rational in your own self-interest. Chris and I knew this was not the most popular thing. My staff did. You know, I look, when I had my toughest race when I first ran for office in 1980. But my second toughest race was my last race, in 2010, because we had passed a wonderful bill and we had done these things. But it was very unpopular, and the problem is, it's hard to get political credit for averting disaster. I mean, I complain about, my staff actually made up one copy of the bumper sticker I said I wanted to use. They were afraid I would use it. It said here's what I want to run on, “things would have sucked worse without me.” But you don't get any credit for that. But on the other hand, to make your point Chris just told you, that reaction was a major piece of the rightward movement of the Republican party because Republicans who voted for the legislation suffered badly in 2010. Brancaccio: And more conservative people replaced them. Frank: And that, and as Chris also pointed out, you know things don't go away. The 2010 Republican primaries, I think, terrorized an awful lot of Republicans, and it’s a major factor in the Republican Party having moved that way to the right. Brancaccio: Well I'm going to pick up on that theme in a second, about the Republican Party and Trump and the financial crisis. We'll get to that. But let me ask you something. Part of this idea of it's so deeply unpopular, but, Sen. Dodd, you point out you think it was crucial that you did it at the time. Brancaccio: But what part of, do you want a second Great Depression or not, wasn't made clear to people? Frank: We tried, but they didn't believe it. Brancaccio: Or, maybe you couldn’t though because people were afraid of rattling the markets. Dodd: Even worse than that, It’s one thing that they didn't believe it then. We're both blessed and burdened with no memory in this country. And that’s an asset and a liability. And when you go back and tell people five million homes went into foreclosure, $13 trillion of national wealth evaporated, 27 million people lost their jobs, iconic institutions, investment banks, commercial banks, credit unions, savings and loan, disappeared or nationalized or merged. It was an incredible set of issues that came to be. And people even today, you have to remind them of that to understand how much trouble we were actually in. And that, let alone today which is harder. Frank: And it's hard to persuade people, as I said, that we’re going to have disaster. Americans thought well of the economy. By the way there's one other factor on the foreclosure — yes, we get the worst of both worlds on foreclosure. I think the reaction to that gave us two political phenomena: The Tea Party and Occupy. Because there were some people who were furious because we did some help for people, which we talked about. The Tea Party grew out of what's-the-guy's-name from CNBC. He said, “we need a Tea Party, how dare they help these people with their mortgages? Nobody helped me with mine.” So we had people on the right upset because we were talking about helping people avoid foreclosure. And then you had people on the left angry because we didn't help people do that. Dodd: Be careful about that line, you’ve got a great line. Brancaccio: I would love to hear the line. Frank: Here it is. Here was the problem, we had two movements came out of it: Tea Party on the right and Occupy on the left. And our problem was that the Tea Party registered to vote and got involved in primaries and took over the Republican Party. And the Occupy people smoked dope and had drum circles. And I will tell you that members of Congress are much more attuned to people who register and vote in primaries, than the people who sit around smoking weed and beating on drums. Brancaccio: But they figured that out now, on the left side. Frank: Finally, they didn’t then. I was on the Bill Maher show with a representative of Occupy, they didn’t have representatives, a person from Occupy, and I said, “well one of the things that troubled me was I never saw a voter registration table at an Occupy site.” She said, “well, we weren't into that.” I agree that I think the left has learned now the lessons of 2016 and elsewhere. So people are going to be turning out. That's one of the things that I hope is going to be transformative this year. Brancaccio: Well let me turn up the heat on this particular idea. Without the Great Financial Crisis that you two helped fight, without the crisis, do we get President Donald Trump? Dodd: Well look, in my view I agree with Barney and others who made the case — but, arguably, it began with the Vietnam war. I think frankly, the health care debate had more to do — that month of August in 2009, a year later. It obviously didn't spring entirely [from] there, but they really, the town hall meetings that took over. No one was talking about the financial reform bill in September of ‘09. It was really all health care. Brancaccio: So by a year later, we’re talking health care. Dodd: But we're also talking about a time when, despite the fact that there were Republicans in the House and Senate who were obnoxious about these bills, the fact is that people like Judd Gregg and I worked on the TARP legislation together, helped draft it. We were working with the Bush administration, with the Secretary of the Treasury, putting this together. That image, 75 people in the Senate actually vote for TARP despite how unpopular it is, that Congress was demonstrating what it was capable of doing with good leadership and resolving problems. So the image was not all negative. You really were demonstrating your capacity to deal with a major problem and come together in a bipartisan way to do it. That wasn’t a bad message for the country. Frank: What Chris said is very powerful and should be underlined. Here's the problem, there was a sequence. The TARP, the bailout as it was called, was very prominent. Unfortunately, we never got as much attention for what followed in that sequence, which was the toughest financial reform and regulation since the New Deal because health care took it off — it’s like the public, the media can only focus on one big issue at a time. And if we had the perception that the crisis was followed then by reforms to clean up the thing, we might have been better off, but health care intervened. So you never got — and Chris noted this, when you asked people what they thought about the financial reform bill, it’s the most popular bill that’s passed in a number of years. But you got to ask them, they don't bring it up because it was not as prominent. And as to Trump, I do think — look he won by so little. I mean we got Donald Trump because of less than 100,000 votes in Wisconsin, Pennsylvania, Michigan. Given that, a whole lot of things could have taken it. So I think the answer is yes. But here’s the trap I don't want us to get into. It wasn't the crisis that was the cause. It was the failure of policy that led to the crisis. And this is a frustration for us. It was the right wing policy of not regulating, of refusing to do regulation, of Greenspan refusing to use the powers he got. So the conservative philosophy brings on the crisis and then we as Democrats being responsible, step up and try to resolve it, working with some Republicans. And then we get blamed for it. Dodd: And, we never could have, on the financial reform bill, if we had ever tried to pass it a year before we did, or a year after, it never would have happened. The window opened in that one moment and you either have enough sense to go through the window and get as much as you can done, or it closes very quickly and it wouldn't have opened up again in my view. Brancaccio: So the law that has your, each of your names on it, it is very focused on fixing and shoring up the banking system, and making sure the banking system isn't as vulnerable the next time. Were you fighting the last battle, fighting the last war? Because what could happen next, God knows what could happen next, it could be something else. Frank: No, the war was still on. The war wasn’t over. We ended the war. Yeah, it’s like saying, well when you were in World War II, when you were fighting Hitler, were you fighting the last war? No, we were fighting Hitler. What we were doing in the bill was — remember this stuff was ongoing. So what we were fighting was that, and yes we did, I think, substantially diminish the likelihood of those things happening again. We never said, nobody could say, that will be the end of everything. But it wasn't, this wasn't only looking back in history, we weren't fighting the problems of the New Deal, we were fighting an ongoing set of practices, and if we didn't put an end to them, they would have kept going. Dodd: And there's several points underlying, which you cannot legislate, the lack of confidence, consumer confidence, investor confidence had been shattered because of what had occurred. And so what we try to do with the bill is not eliminate future crises, they are going to happen, but create tools, new tools, the ones that Bernanke and Paulson claimed they didn't have. So the stress tests for banks, the transparency in the derivatives market, the creation of the FSOC, so they could actually sit down together, consider that radical idea, and look over the horizon, and say are there product lines or institutions that are opposing systemic risk? Brancaccio: This is what I often envision as like the war room watching over the financial system. Dodd: The law says they have to meet four times a year, they’ve been meeting 30 times a year, on their own, because they realize the value of it. And that's a very critical, really a huge asset for the future. Frank: And the thing that came out of the Senate with Jack Reed ... we created the Office of Financial Research, which was a set of experts whose sole function was to look ahead and see what the problems might be. And by the way the Trump administration, that’s one of the things which they have underfunded, they couldn't abolish it statutorily, because they they just don't believe that we should be as ready. And I would just add one other thing to that last answer that Chris gave, and that was — and this was one area that Paulson and Bernanke did complain to me and you saw it in Lehman and AIG, the opposites. When Lehman failed, they didn't do anything. 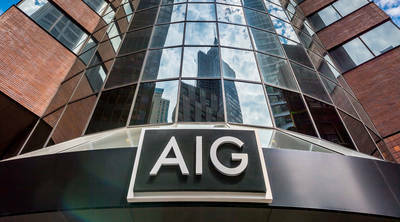 When AIG was going to fail, they did everything. And what they said was their lawyers had told them, if a major institution couldn't pay its debts, they either had to let it go bankrupt and pay nothing, or step in and pay everything. And the key thing that we did and what’s called orderly liquidation, was to give them the authority, move in, take over the institution and pay only some of the debts, enough to keep things from spiraling out of control. And then levy on other financial institutions to get that money back. So that was another important piece of this. Office of Financial Research: This office provides quarterly reports on the vulnerabilities of the U.S. financial system, and provides other member agencies with the help they need to tackle threats against financial stability. Dodd: And one more piece, which Barney brought up last night, and they're still angry about it. “Too big to fail” — not only politically could you not get away with what we were able to do in 2008, but legally you cannot do it. They wanted to leave open the window, so that a major financial institution could get financial aid to bail them out. “Too big to fail”: The idea behind “too big to fail” is that some financial institutions are so massive and interconnected that their failure would mean disaster for the economy. Many firms fit this classification, like JPMorgan Chase, which manages $2.8 trillion (For context, that’s more than the gross domestic product of Canada, Italy, or Brazil). This concept was used as a justification for the billions of dollars banks received in bailout money during the financial crisis. Brancaccio: That there could be a future bailout. Dodd: We shut it down. Now they could change the law. Frank: In fact we teased them, and some of the experts, even, you know, Bernanke and Paulson and Geithner, who we work with, if you asked them, they’ve been supportive, and unlike a lot of other Republicans, they believe that what we did with derivatives, what we did with bank capital, what we did in these regulatory things were fine, but they are upset that we did shut down too strongly the possibility of unlimited infusion of taxpayer funds into failed institutions. Frank: In fact, at the dinner they had last night, and Chris and I were there. And when they got through talking, I said maybe a little mischievously, “oh, by the way, I have a question for you guys. How you doing lining up sponsors for that bill you're pushing that's going to give back the authority to do all the bailouts?” And I got laughter in return. Brancaccio: But this is a very serious point here, which is you didn't outlaw future crises. Dodd: You can't do that. Brancaccio: So something might happen, and what if they have to go back to congress? Frank: A, the first place in a democracy, yes, sometimes you do. And by the way, we showed last time that there was a crash, that was Chris's point. They went to Congress and Congress responded in two ways, and we dealt with the crisis, and then we put in a pretty good set of rules. But, you can quote my husband, he says, “well first you guys were the EMTs, and then you were the surgeons.” And the result was a pretty good one. But here's the deal, we have given them the authority to intervene, but they have to put the institutions out of business, which some of the institutions don’t like. Here's the issue, we have said that you don't want unpaid debts spiraling through so that A can’t pay B, and then B can’t pay D, E, and F, and they can’t pay the others. But, they have to put the institution out of business. And what they said was, “maybe we don’t want to go that far.” And the other thing I would say is this: “if that's the issue, then the country has to decide it.” Well, let me make this explicit. What they've said is, what we did in there, the ability to put a major institution out of business and then pay only some of the debts — that's not going to work, because if a really big financial institution is threatened, there will be great political pressure to save it. So therefore, they would need the money to save it rather than put it out of business. And having gone through what we went through, we know that’s wrong. In fact, if a big financial institution was failing, there would be political pressure to shoot everybody in it, not to save them. Dodd: You know, it's interesting because this was the vulnerability, politically, we faced all the way through this. The “too big to fail.” In fact there was memos passed around Republican circles, how to defeat the bill, say it's “too big to fail” is still alive and well. We actually lowered the threshold for financial supervision to $50 billion, which we just fundamentally changed. That was driven by Republicans because they constantly said “too big to fail” is still alive. Frank: And what we put in instead, and it was in both versions — and we then had to reconcile it as we go into conference — no bank is “too big to fail.” They fail. What we have said is if they can't pay their debts, then we put them out of business. Dodd: In an orderly way. Frank: And that's what it’s called. And by the way, it anticipates that it may be that they've go so indebted that the federal government had to put in some money. But there's a mandate —the treasury secretary then has to get that back from others. But the other point is this: is that all the rules we put in about capital restrictions on bad loans, on restricting derivatives, requiring that derivatives be funded — we made it much less likely that they would have that degree of debt. But even if that fails and they do have more debt that they can pay off, they get put out of business and the debt is paid in part, not entirely, only as much as you have to, and we get that back. Dodd: Conversion on the road to Damascus. Brancaccio: Oh, is that what happened? So he's the head of the Minneapolis Fed now, and he told us the other day, he thought — and this is a quote from him — “the biggest banks are absolutely still ‘too big to fail.’ If big banks ran into trouble today, the taxpayers would be on the hook because the administration will be faced with the same choice we were faced with,” I guess back them. “Let them collapse and potentially bring down the U.S. economy or use taxpayer money to bail them out.” And I think he said that people end up using taxpayer money to bail them out. Frank: Two things about that. I think I called his bluff and he hasn't responded. He said over a year ago the banks were too big and had to be reduced in size. Did you ask him what size they should be reduced to? Because he doesn't answer that. What size? Brancaccio: There's no answer to the idea of what is the right size? Frank: And how indebted are they? Look, Lehman Brothers was 750 billion. So the answer if you are not going to deal with the debt, they’re all too big, but he says he’s always abandoned that. But he just said what I told you they’re saying: he says if the bank is in trouble, you have to use taxpayer money. As a matter of fact, our law says that they can't. Frank: They would be breaking the law. In fact, that's what you just alluded to, the article that you saw from Bernanke, Paulson and Geithner. They are correcting Kashkari by pointing out that what he's afraid what happened can't happen under the law. Dodd: Unless you change the law. Unless Congress changes the law. Frank: Right. Instead, what you have to do — exactly right. And that’s what we tease them, because nobody’s going to help, we barely got anybody who’s going to vote for that new law. What Kashkari mistakes is, that the law says you can't use taxpayer money to keep them alive. You can use taxpayer money to pay part of the debts after you have liquidated them, but then you get that money back from other financial institutions under the law. What he's saying and others are is, if it came to that — this is what I said to you — that would be too much political pressure and the administration in power would be afraid to use the law, and instead they would say, “Oh no, we can't let Bank X or bank Y, go under. We have to keep it alive.” And that totally misreads the politics of America. Dodd: And not only that, but it’s a good point made earlier, because we're conscious of that. The orderly unraveling so that you have not the chaotic ripple effect throughout the industry, in a sense. We’ve set up a process whereby that can occur in a fashion that we think works. Brancaccio: The living wills and all that stuff. Dodd: And they’re doing it, FDIC, who handles the thing and knows how to do this and so forth. So again, we think that would help. So one, you can’t do it, Barney just said, but also, if it comes to that, we’ve set up the architecture that allows for that orderly dismantling of an institution. Frank: Yeah, does he think they’re going to ignore the law? Again, you saw Bernanke, Paulson, and Geithner say, “No, you can’t do what Kashkari said is going to happen.” The other thing I do want to go back to, I was very disappointed in him, because he was talking about these banks were too big and we have to reduce them. And I asked him, I asked several people: how big is too big? There's no answer to that, because as Chris said, it's not the size alone isn’t the issue. The question is what kind of shape are they in? How indebted are they? Can they pay off the debts? And I don't know what Kashkari’s answer is. By the way, did he tell you what his response, what the solution is? Brancaccio: He didn’t give us a number. Dodd: Are Canadian banks too big? They’re larger than the U.S. banks. Frank: And fewer. That’s why I’ve lost respect for Kashkari’s intellectual approach to this, because he says they’re “too big to fail.” What would he do about it? Does he — again, does he think they’re going to break the law? I can’t make sense out of what he’s saying. Frank: Consumer Financial Protection Bureau. The “Bureau” got switched. Consumer Financial Protection Bureau: The CFPB, also known as the Bureau of Consumer Financial Protection, is a regulatory agency formed under Dodd-Frank which collects complaints from consumers about mortgages, bank accounts, student loans, and other financial products/services. The bureau also has the power to issue fines against companies if they engage in unfair practices. It notably hit Wells Fargo with a $500 million penalty for opening false accounts. Brancaccio: Yeah, it got switched recently. It’s being reined in by the present managers of it. What do you think: is it doomed, this thing you set up in Dodd-Frank? Brancaccio: Well, $12.4 billion in relief to over 31 million consumers is the claim. Frank: It goes back to Ronald Reagan’s government is not the answer to the problem. Government is the problem. It's deeply rooted in conservative philosophy that the private sector brings all the good, and the government does only harm. And here is a case where the government is protecting citizens against the private sector and they hate that the way the devil hates holy water. It absolutely hurts their theology. So that’s why they get so excited about what’s really not the major piece of the bill. And so what they're doing is not enforcing it. But here's the point: It's still so popular that for all that they hate it, there's been no legislative effort to diminish its powers or change its structure, unlike health care, where they kept doing that. And so yes, as long as Donald Trump is president, it won't use its powers. But as soon as you get a more sensible president, all those powers will be fully there to be renewed. Brancaccio: But no legislative changes, but they are changing the CFPB’s ability. I’m just going to call it the Bureau from now on, that’s what you call it in the bill a lot of times. The Bureau. Frank: But can I say something. Frank: Call it whatever you want. Who cares. Frank: Are you serious? People get hung up on — that’s not the issue. Brancaccio: Of course it’s not the issue. Frank: But the point is this. Yes, they are not using it now, but it will be fully in effect the next time a president comes in who believes in it. Dodd: Well, ‘cause we did — this is, let me just tell you. Having had a lot of meetings before we even got close to passing the financial reform bill, meeting with the top 13 financial institutions, a block or so from where we’re sitting today. And asking them, in preparation, what are the things that you’re most concerned about? There were two, in an hour-long meeting. Executive compensation and the Consumer Protection Bureau. That was it. That’s it. Those two. And I can tell you who’s in the room — you’d know every name in the room. And that was their concerns. Frank: And it’s because it’s ideological. They hate the notion — this vindicated our view that the government can protect the citizens against abuse by the private sector with no harm to the economy. By the way, that’s the other point I want to stress right here. Trump and a few of his allies keep talking about how our bill has crippled the financial sector and done all this damage. But at the same time, they argue this is the strongest economy we’ve ever had. Now how is it possible to cripple a critical aspect of the economy, and still the economy works better than it ever did? Dodd: And the two great arguments were: it’ll destroy profitability and lending. Profitability last quarter was $60 billion — $12 billion above the quarter over the previous quarter. Brancaccio: Banks have been very profitable. Dodd: And the borrowing is $100 million more than the balance sheets going up. So people are lending money, the banks are profitable. And yeah, certainly the tax bill may have had some impact, but the idea that this bill that we passed was going to kill both profitability and lending is ridiculous. Brancaccio: It’s just interesting to me that the Bureau is being cut back to the benefit, you would argue, the benefit of parts of the financial services industry that doesn't like it. But does the public — there's no outcry in support of the Bureau. This just isn’t happening. Frank: A couple of reasons: first of all, it’s not that visible. It’s hard to demonstrate. Again, it is hard to demonstrate things that they should’ve done and didn’t. On the other hand, their recognition that it’s popular, they won’t let it be an issue. You say it’s being cut back; the powers are not being used. But what do they hate? Well, they don’t like that it’s funded automatically without going through the appropriations process. Dodd: That’s the biggest problem. Frank: They haven’t tried to change that. They don't like the fact that it’s a single director running a commission. They haven't tried to change that. They haven't legislated anything because none of them want to vote to cut it back. So if you simply have an administrator who doesn't use the authority, that's hard to dramatize. Dodd: But you ask a good question, because I think this is what was clearly part of our thinking, and that is the funding scheme. Because what normally happens is so beyond the realm of news everyday, and that is starving an agency. Brancaccio: Congress can tweak the purse strings if they don’t like something. Dodd: And that’s how you kill them, you don’t kill them by — it’s no longer a question of a coup d’etat. It’s just slowly destroy the institution you can’t fund. Brancaccio: But Congress can’t in the case of the Bureau. They can’t do it. Dodd: And I would’ve frankly with the bill, I would have liked to have self-funded the SEC if we could. Because it certainly collects enough money to pay for itself every year, from bad behavior. And so we did this through the Federal Reserve system specifically, to avoid what they did with the Federal Trade Commission and others over the years. Starve them to death. And the public doesn’t really get that. Frank: And that hasn’t changed. So I agree, yes, under Trump. But you know, by the way, that’s true of the Environmental Protection [Agency]. It’s true of a lot of things. You get people in power who don't believe in using the tools. There's no way you can force them to use them. Brancaccio: I mean, you saw the head guy from the Bureau who does student loans quit not too long ago, he said they are not enforcing. Frank: But again, the next time a president gets in office who believes in this, those powers are there. They have not been diminished going forward; they're not being used. And as far as popularity, yeah they tried to repeal the health care bill. They've tried to vote on other stuff. They try to repeal some other regulations. They haven't put the consumer bureau to one test because the Republicans don't want to vote on it. Brancaccio: I want to go slightly back in time before we leave the subject, the Bureau. It does go back in time, but I didn't get the story from you, Chris Dodd. In late 2008, I think it is, before we're at crafting Dodd-Frank and we're dealing with TARP, you identified the crucial issue for the government's response to be something like restoring consumer confidence. But what was the story: apparently the other tycoons in the room with you didn't get what you were saying? They looked at you, what, blankly? Dodd: No, and I’ll tell you another quick anecdote to make my point here. I was talking to a manager some years ago of sovereign wealth funds. This guy parked a huge amount of the country's money in our country. And I said, “Why do you do that?” I'm just curious why you do that. He settled for two reasons. He said, “First of all, you're pretty good at making money.” He said, but I want to tell you something. The second reason is actually more important than the first. He said and I will never forget what he said, “I have never lost a wink of sleep worrying about the fairness, the stability of the system. I've made money. I've lost money, but I've never worried about the integrity of the financial services system in the United States.” And what happened is we lost that reputation through all of this. And so confidence, while I can't legislate it, everything we had to do was designed to to restore confidence, hopefully, and secondly, to make sure that the policeman on the street if you will, the regulators, would have enough information to make good decisions. I can't force them to do that. They could disregard all of that if they want to. But don't ever tell me again we didn't give you the tools to identify a problem and respond to it accordingly. Brancaccio: You would think think that would be self-evident, but apparently people didn’t understand what you were saying at first. Dodd: It’s short-term thinking. It's quarter-to-quarter stuff. It’s I'll get my five years in and get out in a lot of cases, you know. Dodd: You've got Turkey. You got Hungary. You got Poland. You got Austria. You’ve got the Philippines. You know, we're seeing, we're seeing, you know, this kind of governance emerge globally. It isn't just here. Frank: The financial crisis accelerated it and accentuated it. But that's not the underlying problem. The underlying problem is the nature of growth in developed societies since the ‘80s, and this is now acknowledged, growth from the Depression through World War II with the post-war period — growth was good for everybody. We grew, developed economies in a way that helped the high-end people. It helped working people. They could go make glass, make autos, etc. And then beginning in the ‘80s, and this is, I think, fairly well-acknowledged, growth began to be a two-edged sword. It produced more overall wealth in a country but it exacerbated the way in which it was distributed. So if you were high-end in America or in other developed societies, if you had a lot of skills, a lot of education, sophisticated in technology, you made money. If your only working asset was an ability to go work hard, without a lot of skills, you got hurt. And so I think that's that's the basis for Trump or for Brexit or for the Five-Star Movement in Italy. It is that economic growth in the developed West has evolved to the point where it has a very unequal effect in the economy. And you have Thomas Piketty talking about how capitalism has become both an increaser of wealth and an increaser of inequity. Now what happened was and I do agree when you talk about the plutocrats. I think what happened was in 2010 the perception that the bailout was only for the banks and not others, convinced a lot of people that this unequal result was not simply the workings of an impersonal economy, but the elite was trying to screw them. So that added to it, but the underlying problem has been the economic reality and that's been an ongoing issue not just in America, but in — I was just reading a very good article by two economists at MIT in 2007 talking about how we are having this increasing inequality in this society and that is undermining faith in democracy. Brancaccio: So are you two Democrats are going to let the Trump team offer their approach to this? I mean, because you've identified it as a similar problem. Frank: That’s a silly question, I'm sorry. Frank: What do you mean we’re going to let them? Frank: But why would you phrase it, are we going to let them? Brancaccio: Not amused by my question, I stipulate. You didn’t complete your thought. The thought was: So what do you do about it from your perspective? Brancaccio: Even when mainstream economists say wait, dealing with inequality — that's inefficiency in economic terms. Frank: Nine, zero years ago there was a loss of faith in democracy because capitalism wasn't producing enough wealth. And you got change, and you got this new idea that governments had to produce wealth. And so then beginning in the ‘30s and then into the post-war period, OK, democracy looks OK now because it’s producing the wealth. But I think what we're seeing today is in some ways like that. That producing wealth is no longer enough to sustain faith in democracy. You've got to produce the wealth in a way that promotes fairness as well. Dodd: And the language about dealing with the inequality, of taking care of the unemployed worker — that guy I just described — seems sort of flat to me. I mean, “we’ll have job training programs” or something, and we’ve used the same language for three or four decades. Brancaccio: Well, Charles Schumer used it with his new way forward that he offered last year, which one of the three planks was job training. Dodd: Seems hollow. I can’t imagine anybody after two years with an infrastructure, huge set of problems in the country. You would think both Republicans and Democrats, given the absolute need for infrastructure improvements and so forth, real jobs could be created, would make some sense to do it. But too often the language doesn’t seem to have the vitality that growth does. Economic growth. Frank: Training is good. Retraining — a 57-year-old coal miner is probably not going to become a computer programmer. I mean, I couldn’t become one. There are other things Democrats have been talking about more — unions. A major factor in the erosion of the incomes of average people, economists now will agree has been the anti-union activity. And it’s frustrating to watch — Trump talks about the working people and does such anti-union stuff. But raising the minimum wage — I think you’re beginning to see. There are a couple of things that would help. Raising the minimum wage and helping people with their medical care costs. Expanding Medicare in some ways: lowering the age or having a public option. Those are things that, and I agree that — I think that both Obama and Clinton were slow. Clinton was slow to see the need to make sure that pro-growth and pro-fairness went together. But I don’t think, well, by the Obama administration, while the president was for trade, overwhelmingly Democrats were voting the other way, saying no, we gotta do the other. I think the next time you see a Democratic majority in the house or the Senate are going forward, and then the presidential campaign, there will be a much more explicit set of programs increasing health care, minimum wage, protecting unions, that deal with this. Brancaccio: Let's get back to Dodd-Frank. This is one of the crucial achievements of both of you; it has each of your names on the bill, on the law. Dodd: Originally the motion was to call the bill Frank-Dodd, and Barney pointed out at 4:30 in the morning, they’ll think it’s one person. We can’t have that out. Brancaccio: Good old Frank Dodd. Who is he? Was he in the House or Senate? You were fighting the war, you make the point in this discussion in real time as you’re working on that bill. So how much could you take on? But there’s a lot to worry about in the financial system that Dodd-Frank doesn’t fully address. A lot of financial stuff goes on outside of banks. In hedge funds, and money market funds. They call it the shadow banking system. Shadow banking: This includes financial institutions that aren’t a part of the traditional banking system, like hedge funds, money market funds, the repo market, and peer-to-peer lending. These entities are essentially unregulated, yet they’re incredibly powerful, because they do most of the lending that drives the economy. Frank: Well, the bill does give them the authority to deal with that. The bill doesn’t just regulate banks. And this is one of the things that we’re proud of. Chris talked about the Financial Stability Oversight Council. It gives them the right to go after activity, so they’ve done some stuff about money market funds. I was talking to Janet Yellen yesterday, who was concerned there may not be much willingness to use some of the authority they have. But the F-Dodd did make some changes in the requirements for money market funds. So the law does not just cover banks, obviously it covers financial institutions. It doesn’t cover hedge funds as fully. That I agree with. But it has the right to step in if they see it as an issue. Financial Stability Oversight Council: This organization, composed of 15 members, identifies risks to the financial stability of the U.S. Its first report to Congress cautioned that the U.S. could face losses connected with the European Debt Crisis, a warning that caused the stock market to plunge hundreds of points. Dodd: It’s a major problem. This is one of the major complaints of the bill: the fact that GE, Metlife and a few others — when we looked at these sort of non-shadow banking, not your classic definition, and that people have complained that this was overreaching in a sense. Now you can make a case, depending on the circumstances of each one, and there’s some legitimacy to that. But the pace of legislation allows, except in the area of hedge funds, for us to actually be directly involved with institutions that don’t specifically qualify as a bank. Frank: Yeah, for instance GE, because of what we did, divested itself of its financial entity. GE started out as an industrial company. Then they went into being a big financial company, and to avoid the supervision they were getting, they divested. And even ask the hedge funds, hedge funds per se aren't regulated, but the financial instruments in which they deal are. For instance, derivatives. Nobody now can get involved in these massive derivative transactions putting nominally hundreds of billions at stake, without there being a protection against somebody incurring debt that they can't pay off. They go through exchanges. You have to post margin, you have to have capital. Brancaccio: People may not understand that before Dodd-Frank, this is all kind of mysterious. Frank: Well, AIG, here's the story. AIG came to the Fed in September, and said, we have $85 billion in debt we can’t pay off. A week later, Bernanke said to us, “Oh, and we're going to need” — he was listing how much they needed for TARP — “we need $85 billion for AIG.” We said, “Oh, you already told us about that.” He said, “Oh, I’m sorry, that’s an additional $85 billion.” It turns out AIG was $170 billion in debt beyond what they could pay off, because they had been allowed to make promises without putting up the capital. And so what we changed in the law was, it would be literally impossible to go $170 billion in debt now without having some capital paid off. Just like you can’t — people know about margin for stocks. Well, yeah, you had to put up margins when you were buying stocks. You had to put up a certain percentage. But you could make a commitment with derivatives with nothing at all behind it. That’s not possible anymore. Brancaccio: Did you follow this apparent loophole that's developed in Dodd-Frank, that if it was argued by the financial services industry that they could move some of their riskier trading, derivatives trading, to offshore foreign versions of themselves, and therefore beyond the reach of Dodd-Frank — and I think it was the CFTC was going to close the loophole. But that was just before the last presidential election. It's not closed. Frank: Well, the law is still there. In fact, it's a really good point. They tried when we were still there to pass the law when the Republicans took over Congress. Well, part of the problem was we did not anticipate losing control of Congress in 2010. Because if we had kept that, we would have funded these things better. They had a bill that was going to exempt the overseas affiliates of American institutions from derivative regulation by the Commodity Futures Trading Commission. And then in the midst of that, the London whale surfaced, which was a loss by JPMorgan Chase, supposedly the best-run bank, of billions and billions of dollars and they didn’t even know how much it was. So the law was not changed. So you're right — they didn't complete the regulatory authority, but the statutory authority for the Commodity Futures Trading Commission to fully supervise those overseas activities hasn't changed. Brancaccio: You've thought about this a lot, Congressman Frank, but I want to get you to address this because you just opened up this important area of inquiry, which is you can write a law, but you gotta enforce it. And as in the case that you mentioned in the 1990s of the Fed getting authority to better scrutinize the subprime market, and maybe Alan Greenspan wasn't as diligent as he should be doing that, does Dodd-Frank go far enough to make the regulators crack down? Frank: It goes as far as you can. You can’t make — anybody do something. Brancaccio: So is it a frustration that you can’t make them? Brancaccio: On every little thing. Frank: There’s no difference between the way he is administering those powers and the way Janet Yellen is. Dodd: Done a good job. Well, Jay Powell I think is very good. We’re lucky to have him in that job. But I was going to make a case exactly to your point. I mean, you may have recently heard that the Consumer Protection Bureau was issuing a regulation to ban these sort of mandates that you have on arbitration. Where you couldn’t sue somebody, you had to agree to arbitration. And of course, the law gives the agency the right to do that. What they’ve done of course is challenge that successfully. So today, when you sign these agreements here, you’re signing clauses here that require you individually to arbitrate. Not collectively do so or file a lawsuit. There’s an example where the law still gives the agency the opportunity to regulate, but regulations will be subject to jurisprudence and our ability to prohibit them from doing so would be unconstitutional. Brancaccio: We're talking about inequality before, I haven't asked you more directly about executive compensation. Average pay for all CEOs is up 72 percent between '09 and last year. Last couple of years, some, if not a lot, of that jump has been the rising stock market. But the typical worker's pay is essentially flat, it keeps staying essentially flat. Dodd-Frank deals with that through, the main mechanism is transparency, right? That's what you tried to do? Dodd: Well, “Say on Pay,” we don't force it. But I know they don't like it. Once every three years, the boards can vote on these things here. It's a, you know, it's a difficult area to legislate in because the opposition was so strong to this. I mentioned earlier to you the two issues that I was told over were again: compensation and the Consumer Protection Bureau were the two really big points to this. Frank: We gave the shareholders the right to control the top executive compensation. On the whole, they haven't used it, again. But they have used it some. Vikram Pandit lost his job as a CEO of Citicorp because of a negative vote on pay, and there have been some cases where it has been, has been used. I noticed The Economist magazine, which didn't like the law because they really have have a great free enterprise. They hate to admit that the government was needed. But they, in their most recent analysis, say yeah, the "Say on Pay" has restricted — and "Say on Pay" goes beyond transparency. It lets the shareholders vote every year, and they can do it as much — if they want to wait till every three years — but they have to give the shareholders a vote at least once every three years on the compensation of the top executives and the shareholders can can vote no and nobody's going to defy that. The other is publishing the ratio, which is — Sen. Bob Menendez pushed for that. Brancaccio: The CEO pay over the typical worker's pay — the average worker. Frank: And while it's not binding, apparently it had some effect because the CEOs hated it like poison. Brancaccio: Well the argument — you know what the argument is. The argument is: It makes CEOs look especially bad if it's a type of industry that has a lot of lower-paid workers. Brancaccio: It is very embarrassing though when you show up on the wrong part of that list. Frank: Take another job. But by the way, live on $20 million instead of 27. Dodd: A related issue that, again, this doesn't get a lot of attention, obviously, the "Say on Pay." Also related to that is the whistleblower provisions in the bill, which here again was controversial, and frankly, I think Barney and I both had our reservations a bit about it. The idea that we'd probably see a deluge of whistleblowing accusations because you can bypass the business you work for and go directly to the SEC. Dodd: With anonymity. And, of course, the SEC was worried about it. It turned out all of our fears, whatever fears we had, nonexistent. They've been a great success and made a difference in the last several years. Dodd: Are you familiar with the position? Frank: You know, yes, we tried to cap CEO pay or at least restrain CEO pay, but more importantly, we were trying to raise the pay of the workers with unions and better taxation and with other factors that would increase their pay. Brancaccio: Because, you know, early on you lived through that, when the AIG bonuses happened. That that did not make anybody's life easier except for the people who got their bonus in the end. But do you think in a sense the outrage that erupted when AIG still paid out the bonuses may have helped you with the broader reform? Brancaccio: Well, you harness some of the anger for reform. Frank: Yeah, well the reform — actually, what helped us particularly in April of 2010, the Senate was taking up the bill — we'd done it in 2009 — you had the Goldman Sachs fiasco, where it turned out they had bet against some of the things they were selling people. They were selling citizens certain investments and then themselves making investments that assume the things they were selling wouldn't do well. And Sen. Carl Levin, who was a great investigator, had a very good hearing on that. So that thing, that helped us. Brancaccio: So gentlemen, they're tinkering with your Dodd-Frank, and Congressman Frank, you don't seem to mind too much. Frank: We both felt 100, 125 would have been OK. They went for 125. They went to 250. So there were maybe, I don't know, a dozen banks. Volcker Rule: This regulation, which is part of Dodd-Frank, puts limits on a bank’s ability to make risky financial investments. In other words, banks that are insured by the government can’t run around using your money to make bets so they can make a quick buck. But banks do need to buy and sell things for a good reason, and it can be challenging to distinguish between legitimate financial activities and speculation. Unsurprisingly, the big banks have criticized it for being too expensive and constraining. Brancaccio: The thin end of the wedge. Frank: Yeah, and it turned out that wasn't the case. That was the, that was the total wedge, and that's what makes us feel more secure. That passage of that fairly small change was the last change that's going to happen. It changed the political dynamic. The Democratic senators who pushed for that now feel totally secure in not having to support any other change and that there will be no further change to the law. Brancaccio: Because it was community banks, there's a lot of them and they have the clout. Frank: They're in everybody's district. Dodd: And for the bill, Dodd-Frank. Cam Fine, who runs the association, we dealt with him on a daily basis. The community banks supported the Dodd-Frank legislation. But let me also mention to you that Jay Powell points out the Federal Reserve has maintained its jurisdiction for heightened supervision of lending institutions being audited between 50 and 250. And Jay Powell is not going to give that up. And so even though they did this in the bill, per se, the Federal Reserve remains, maintains that ability. Frank: Basically what they did in the bill, as Chris said, they kind of bought off the small banks. Ten billion is not tiny, but they're the ones in everybody's district, and they sponsor the Little League, and they have those crazy TV commercials. But the result is that there is now no significant political pressure to weaken anything else, and with regard to the biggest banks there was no change, there's no relaxation of the rules on derivatives, for example, no weakening of the consumer bureau legislation. So I think what we now have is a confirmation that 90 plus percent of that law is going to remain on the books. Dodd: There are 5,000 banks in the country. There are 111 of them that have assets in excess of 10 billion. You know, the irony here is, only in Washington would you consider a small bank a bank that has $10 billion in it. I mean, you know. Brancaccio: You're not partial to the change, Mr. Frank? Because you sit on the board of Signature Bank, that's a medium-sized bank. They might stand to profit from this. Frank: Yes, and in 2013, before I had ever heard of Signature Bank, Dan Tarullo, who was the best regulator I thought at the Federal Reserve, in a speech in Chicago, said that he thought the 50 billion was too low and should be raised to 100 billion. And he said he thought the banks that had less than 10 billion in assets should be exempt from the Volcker rule. And again, before I'd ever heard of Signature Bank, I said publicly that I thought that was absolutely right. And so yes, I then went on to the board of a bank several years later that would have been affected by the 50 billion, but it had no effect on my position because I had said several years publicly before that, I had written that, that I was for that change. Brancaccio: While we're talking about careers here in 2008, here in 2018, Chris Dodd, you joined a law firm that does consulting here? Dodd: Well, they're a large law firm. They do a lot more. There are a lot of practices, but financial services is one of the practices. You're a reporter. Since you've raised it, you can't just say a firm. I want to give them proper attention here. Dodd: Arnold & Porter is a great law firm going back years. Brancaccio: But do they use your position there to roll back Dodd-Frank? Dodd: No, of course not. In fact they've been great. I've joined on amicus briefs and so forth which support our legislation, and obviously they don't have a huge client base that ... that isn't necessarily in favor of Dodd-Frank, but that's not unique to that law firm or any law firm. Brancaccio: So, the implication of my question is, is there a conflict of interest, you sitting on the board at Signature Bank? Frank: Yeah, and I want to say one I have been strongly for the tough regulation, but the best thing that happened to the bank of which I am a board member in the past few years was the Trump tax cut, which benefited that bank. Brancaccio: And you're opposed ... You were opposed to that tax cut. Frank: I did as much as I could to oppose that tax cut. And that was... If I was going to be guided by the bank's financial interest, I would ... I would have been a supporter of the tax cut. Instead I did whatever I could to urge people to vote against it. Brancaccio: All right big picture here. We've been talking about the achievements of the Dodd-Frank law. But what worries you most now about the financial system? Surely, your worries are not over. Frank: My worry is that I don't know what will happen next. Here's the position with the financial system and others. The private sector innovates, and at some point the innovations outstrip existing regulations. And the mistake is if you wait too long. That was a problem in the ‘90s and in the 2000s. It wasn't so much deregulation as non-regulation. Brooksley Born tried to get the government to do something about the derivatives. We tried to get Alan Greenspan to do something about subprime. By the way you said let me just be clear about something about Alan Greenspan. In his memoir in 2006, "Economics in a Time of Turbulence," he said, and I'm getting this almost verbatim, I think it's on page 206, you can look it up. He says, "I know that these subprime loans carried a high risk that they would not be repaid, but it was a risk worth taking, because you cannot have a capitalist system unless there is broad support for property rights. And by making these loans we encouraged a lot of these people to be supportive of property rights." It's a political, ideological justification for allowing loans to be made that he said quote, "had a high risk of not repayment." So... But here's what I'm afraid of, is that we will see a repeat of this. That I don't know what the next set of innovations will be. My fear is that there will be innovations that will in part be designed to get around existing regulations and the regulations won't catch up quickly enough. It'll depend on who's in power. Frank: But there doesn't have to be. What happened is this philosophy of deregulation set in. It wasn't that way in the ‘40s, ‘50s, ‘60s but by the by the ‘90s there was this deregulatory philosophy, and I ... What I'm hoping is that coming out of the experience we had, it's going to be a while before people become that willing again to sit back. I think there are a lot of people now who are looking, who are asking, as you are. I mean look, if we were being interviewed 40 years ago people wouldn't be saying, “Well what worries you about the financial system?” The fact that you're asking that now is a sign I think, you know, we have learned a lesson and there is greater sophistication about the dangers. Brancaccio: So the national level... This is government borrowing but also corporate debt, risky corporate debt. Dodd: I think it is a huge issue that's looming out there. I think it's regrettable in some ways. I mean the fact that we're still 10 years later not just a matter of history talking about this but the fact there are bills being introduced all the time to try to undo what Barney and I did. You know, you've got things like fintech, you got cyber security you got data issues. If I were chairing the committee today I'd be looking ... Those are the issues that I think are on the cutting edge of the stability and soundness of our financial institutions. Instead of worrying about, you know, the Volcker Rule per se. Brancaccio: Or the Consumer Financial Protection Bureau. Dodd: Well, yeah. Why aren't you looking at these real, you know ... And some of them are exciting, by the way. I'm not suggesting we ought to be opposed to them. I think fintech offers some unique opportunities. The Bitcoin issues and so forth ... Why not just reject that out of hand? Seems to me smart, intelligent people ought to be looking at it and determining whether or not these are offering new opportunities for people to grow wealth, create jobs and the like. So debt and these legitimate issues that are out there today that didn't exist 10 years ago. Frank: And even there though there's some perception on these new issues ... Fintech. I did notice that the Securities Exchange Commission has stepped up, even under Trump by the way, because that's another guy who I think is doing a good job as a regulator despite our fears that it would be totally cut back at the SEC. And they are now into this whole question of the ICOs — these coin offerings. And the Security Exchange Commission has now ruled that if you are selling new crypto coin and the basic purpose is that, not that it's going to be used as a currency, which is what they were originally claimed to be, but that it's a commodity that's going to increase in value, that that's subject to SEC rules. Brancaccio: Yeah, that starts to sound like an investment. Frank: And so... But I was going to say that this is an example of the SEC using the powers that it has between our bill and elsewhere to do that. Again, I think maybe 20 years from now people will get less vigilant, but I do think there's a vigilance now precisely that we'd better be on the lookout for innovations. Dodd: Yeah, not just hypothetical. I think it was Goldman Sachs is now exploring this and actually dedicating resources and so forth to some of these new cutting edge areas. To their credit in my view. That's what they ought to be doing. Smart institutions ought to be looking around the corner — what's coming next? How can we increase wealth and the like? So it's already happening out there. But that's where our attention ought to be, on what's happening there, not trying to unravel a bill that has been accepted, that's working, that people are still having sort of a Pavlovian response to. Frank: Yeah, and I will respond if people ask where are we on the bill ... The best witness for how successful we were with financial reform is Donald Trump. Because Donald Trump brags all the time about how wonderfully the economy is performing. This is a terrific economy, this is such a great economy. Well, one of the essential pieces of a well-functioning economy is its financial system, and it simply would be impossible logically for the economy to be doing wonderfully if we had crippled the financial system. It cannot be that we are doing so well in terms of how the economy is functioning, but the banking system was broken. And in fact what we have is a financial system that is working very well to do what it's supposed to do which is to provide the money that is needed for productive activity, but has substantially diminished the chances of the kind of crisis we had before. Brancaccio: Has the president thanked you for all your hard work on this that allowed his success? Brancaccio: You know, I'm trying to figure out if what we've just been discussing is a success story or not. I'm looking at some data. Social Science Research Council forecasts that the typical black family in America 25 or so years after the crisis, 2031, will have 40 percent fewer assets than before the Great Recession. Frank: By the way, you're confusing something. Of course that's true, but you're confusing what we did in response to the crisis to the causes of the crisis. A bill didn't destroy people's houses. The practice of unregulated subprime loans destroyed the practice. So of course if you're talking about are people in many cases worse off than they were before. Yes, but the success story ... We didn't claim that the bill undid all the social and economic crime. What we claimed, all the bill was, had one very specific ... well, two things ... The bailout had the purpose of trying to keep things from getting worse and becoming a general crash, and the bill had the purpose of trying to prevent these abuses in the future. Neither one of them had the capacity to undo what had been done before. Brancaccio: And you know you have dedicated yourself, and I think to some extent you have, you're focused on the horizon on this issue of income inequality. Brancaccio: That still drives you crazy, right? Frank: By the way even after that we had some leftover TARP money and we managed to find a billion dollars to be used to help people facing foreclosure who were unemployed. And to my great dismay, Shaun Donovan the Secretary of HUD refused to use it. They spent, this was under the Obama administration 400 million because of bureaucratic inefficiency and left 600 million on the table. So that one I acknowledge. Dodd: It was a whole different path ... that meeting on Sept. 18 I'll never forget... I forget if it was Hank Paulson ... It might have been Ben Bernanke ... Wanted to talk about the perception of housing foreclosures. And I was just, perception? I remember reacting to the word perception. There's nothing perception about it, it's real. Brancaccio: There are foreclosures. People being kicked out of houses. Dodd: Their notion was that somehow this was sort of a myth. Frank: Yeah, for foreclosure relief. Finally he gave in in December after the election and said, “OK if Obama says OK, the president of the United states, I'll ask for another 350 and I'll use some of that for foreclosure relief.” And the Obama response was what Franklin Roosevelt had said with regard to Herbert Hoover, “Hey I'm not the president yet. You have the authority to do it. You do it. Don't ask me to get involved. We only have one president at a time.” And I did get very angry there. In fact, because Paulson said he would do it if Obama told him to. And Obama said he wouldn't do it because Paulson could do it without him, and we only had one president at a time. And I said that when Obama said we only had one president at the time, he was overstating the number of presidents who are currently available to help people. But, as Chris pointed out, they finally did it. Brancaccio: How much did Obama love that, or how much did George W. Bush love that? Frank: I was told they were both quite personally directly unhappy. But as Chris also noted, they finally did ask for a second amount which we all know, and that's where the auto bailout came from. They did get another 75 billion, but only for the auto bailout. Brancaccio: The auto bailout is pretty popular. Frank: It should have been. I'm real proud of it. Dodd: It made a big difference. Frank: It was because we structured the TARP that way. People who hate the TARP but love the auto bailout ought to understand that the auto bailout, as Chris said, came out of the TARP. Brancaccio: I didn't ask this clearly enough. You to a lesser extent, but certainly Geithner, Bernanke, Paulson talk about this frustration that TARP was misunderstood and remains misunderstood by the American people. But part of it is that you couldn't spook the American people too much then you have a panic. If you're trying to explain why this is a clear and present danger. So there's this kind of tension. Frank: Well, that's a good point. There's an analog. In 1947 Harry Truman is president, Republican are in control of Congress, and he thinks he needs to spend hundreds of millions — then a lot of money — to stave off a Communist takeover in Greece and Turkey. And he calls in the Republican Congress, the joint leaderships of the Republic in charge, and he said I need this to send money to Greece and Turkey to stave off the communists. And one of the Republican Senate leaders, it might have been Sen. Arthur Vandenberg, said “Well, Mr. President, we could probably do that. But first you got to scare the hell out of the American people.” And it's one thing to scare them about the communists, but you're right, it's another thing to scare them because as Chris said about confidence. Brancaccio: Well, you get a run on the bank. Dodd: And it was also you know again talking about people who have obviously come out of a world, tremendously talented bright and so forth, but understand the concept that, while they were certainly correct in talking about the stability of the institutions, they had a very difficult time approaching this from the point of view of the consumer. It just wasn't part of their own. You know not part of their own language in a sense, I mean coming from where they did. Not that they didn't care about it. They did. But that was such an important point. How do you describe what we were doing? And invariably it was always being described, and the media picking up on obviously, was providing financial assistance to these large financial institutions. And we didn't emphasize enough in my view when we had the opportunity to do so. Would it change the perception? Wouldn't have changed what we did, but it would have changed the perception of what we did which is true today but hard to explain to people. Brancaccio: I mean, it has had lasting effects. We did a poll around the time of the last election a scientific poll and it found bipartisan agreement on something which was that conservatives and liberals think the system is rigged on behalf of someone else. They slightly disagree about who it's rigged in favor of, rich people, politicians, corporations. But the perception that the system doesn't look out for the small, for the little guy, is defining our politics now. Frank: No question. And I will go back to the question before. The underlying reality there is that in fact the way capitalism has worked in America in the past 30 years, they're right. Growth has produced increased inequality and it has not been a fair sharing. The crisis did help transform that into a general perception to believe it. It wasn't simply that that was happening, but that the elite wanted it to happen. That it was not just a fact but a conscious choice. So I agree that that was the case. The other problem we have though, but this is a constant problem in public policy, the economists have a technical term called the counterfactual. If you are an economist and you are modeling a policy you talk about the policy and then you would call the counterfactual. That is, you model what would have happened if you hadn't followed this policy, because very often what you were talking about is not an ideal but the best possible deal. And the counterfactual is what economists use to justify policy A because it would have been better than policy B. There's no counterfactual in the real world. You can't ... we couldn't say, you know what, let's show people. Let's have a TARP and then let's have a universe in which there is no TARP. And when people see how much worse it was without a TARP, they'll love the TARP. Dodd: Maybe, because they'll argue for eons to come. And there’s certainly a constituency that feels we should have done nothing with TARP. We should let the market work. It would have gotten rid of things and so — they'll maintain that position forever. We did not have the luxury of gambling at that particular point. Brancaccio: — How's your TARP, How’s your Dodd-Frank? Compared to what? Frank: Exactly right. Ben Bernanke translated that into not having your counterfactual. But it's he and Henny Youngman have the same perception. Brancaccio: So Chris Dodd, Barney Frank, you’re linked forever, the two of you in history the Dodd-Frank legislation. Frank: Yeah, can I say this, I’m I’m very proud of this, one of the things that plagued Congress over and above the real problems are jealousies and turf battles. Brancaccio: Senate versus House, House versus Senate. Frank: Senate versus house, and then, within, jurisdictions ... this committee versus that committee. And the late Hale Boggs, one of the great legislators of all time, a congressman, told his daughter Cokie Roberts, one time when she said something about the Republicans being the enemy he said “no, no, as a House member, the Republicans are the opposition, the Senate is the enemy.” And I am very proud of Chris and I working from 2008 in the toughest time in American history. Frank: And perfect cooperation no jealousy. And our staff deserve a lot of credit for that, there’s often staff backbiting. Our staff worked together as one thing and then by the way one of these things we don’t have anymore. We had a two week House Senate conference conducted on C-SPAN literally for two weeks, in which we talked about everything we were doing. Obviously there was some private conversations, but not a single decision was ratified except by a vote in public. And in fact the process of setting an outcome for instance had so far out of favor some people had never been to one, didn't know how they work. Dodd: And then in China. I was asked to go by and meet with the central bank was happy to do that, they wanted to talk about Dodd-Frank walked in and they gave me a direct translation of Dodd-Frank in Mandarin. Frank: And I have one, he gave me one. Dodd: Our opponents think the original draft was in Mandarin. Frank: I will be going to France later. We, we were the pioneers. The legislation we did, we did it first this kind of regulation and it has been widely followed. Brancaccio: It has had global effects. Frank: Yeah, widely followed, and it gave our people, it enhanced a kind of competitive advantage. Because, Chris alluded to this before, people don't want to put their money somewhere that they think it's going to disappear into some black hole. And one of the things our bill does, the law gives people who were going to invest in America a very high degree of confidence that they may make a misjudgment, they may misread the trend, but there'll be no no loss of money because of hanky panky. Dodd: I just talked to a recent regulator of an international operation that deals with financial services and said “today your banks are the envy of the world compared to European banks and elsewhere there's no comparison whatsoever.” The strength of our banks, the stability, is just beyond comparison to what anyone else around. Dodd: Well they didn't like the capital. I mean that was the first capital stance. Frank: And then Jamie Dimon complained, at one point that he had to deal with so many regulators, and my answer was if you don't want to deal with so many regulators, don't be in so many different lines of business. We didn't create the complications, they did. JP Morgan Chase, and Bank of America. These are — Goldman Sachs — these are very complex entities. And yet part of the problem was, before we had to get into this there was they were trying to regulate very complex intricate entities with very simple rules and it didn't work. Brancaccio: Alright, but Dodd-Frank, one of the world's legendary duos now ... what do you like ... I was trying to come up with it, what are you like, the Simon and Garfunkel of regulation? I know the Thomas Jefferson and John Adams of financial regulation. Dodd: Well that’s better than Hamilton and Jefferson. Brancaccio: — of falling out. Dodd: He tells me on the phone they're not going to offer any amendments and the committee markup of the bill. That committee markup lasted 19 minutes, the shortest markup in the history of the banking committee. We had 60 amendments we debated on the floor of the Senate. But there was not a single amendment offered by a Republican in the mockup of the legislation. Dodd: There was no effort, despite Bob Corker and a few others. I had no cooperation in trying to get anything at all. Dodd: Mike Crapo in the Senate and now the chairman of the Banking Committee —-- I disagreed as Barney did with that recent bill but not that viciously. I mean there were only a couple of provisions — is doing a very good job as chairman of that committee, and working with Democrats, ended up with a bipartisan bill when they went forward on it, kept us informed by the way, I saw a draft of this thing before they voted on it. And so they asked our opinion even though we are no longer in Congress. Brancaccio: Barney Frank represented Massachusetts in the house for 32 years. Chris Dodd represented Connecticut in the Senate for almost the same stretch after many years in the House. Gentlemen thank you.